This weekend weather has been beautiful in Ontario! It's time for bbq and camping season soon! 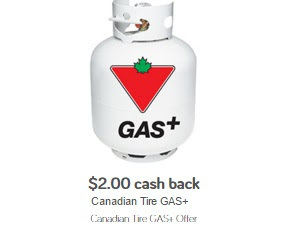 Save.ca has a nice rebate offer for Canadian Tire Gas+ Propane! Get $2 back via this Save.ca mobile cashback rebate! Minimum 10lbs, limit of 2 submissions per account. Click here to get the rebate offer.